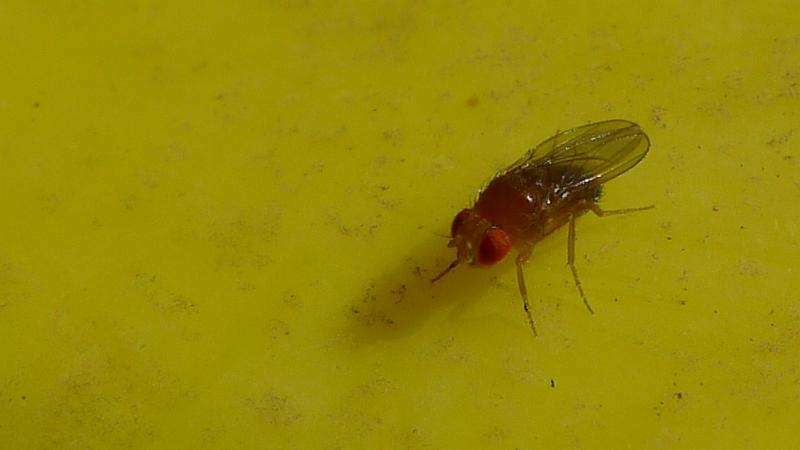 Researchers at The University of Western Australia have demonstrated the sexual attractiveness of male fruit flies isn't just about how big they are or how nice they smell; it's also about how many mutations they carry. Fruit fly populations were created in a lab to assess why females are selective about which males they mate with, and it appears physical attractiveness is only part of the reason. The other is the burden of mutations a male carries. Robert Dugand, from the Centre of Evolutionary Biology said the study aimed to determine why the females of many species are so choosy over which male they mate with. "If females persistently choose particular males based on certain characteristics (e.g. size, smell), you would assume that the continual selection of these traits should eventually erode any genetic diversity in males," Mr Dugand said. "Our results show there is genetic variation in male attractiveness, and it is not limited to easily identifiable physical characteristics (although bigger flies are more attractive). We found that males with fewer deleterious mutations in their genome were deemed more attractive than males with a larger burden of mutations." Researchers conducted the research by competing male flies against one another and finding out which males were preferred by females (the 'studs'), and which males were rejected by females (the 'duds'). Studs and duds were selected for 14 generations, producing populations with an ancestry of highly attractive males and other populations with an ancestry of highly unattractive males. Mr Dugand said the results revealed that mating success responded to selection, which shows there is genetic variation in attractiveness. Some of this variation is caused by mutations that affect viability. "This is an important finding because deleterious mutations reduce the health of populations. Therefore we can show that sexual selection in choosy females is very important for the health of populations," Mr Dugand said. "This result may have important implications for conservation as many programs remove sexual selection when conservationists decide who gets to mate with whom." "This removal of sexual selection may be detrimental to the fitness of small populations by allowing mutations to accumulate." Even fruti flies have enough brains not to embrace defectives that threaten the species. Humans did too, until around the 1970's. We've doomed ourselves.